I'm running Mac OS 10.10.3. This happens for me in Safari (8.0.5), Firefox (38.0) and Chrome (41.0.2272.118), although in Chrome I do get a brief flash of equations during rendering. Some of the new styles on the page caused the rendered MathJax to be rendered in the incorrect position (and also hid it). You could see that as a flicker of the page, seeing the rendered MathJax (in the wrong position), which then suddenly disappeared. I also added the missing re-rendering when changing the sorting & filtering. 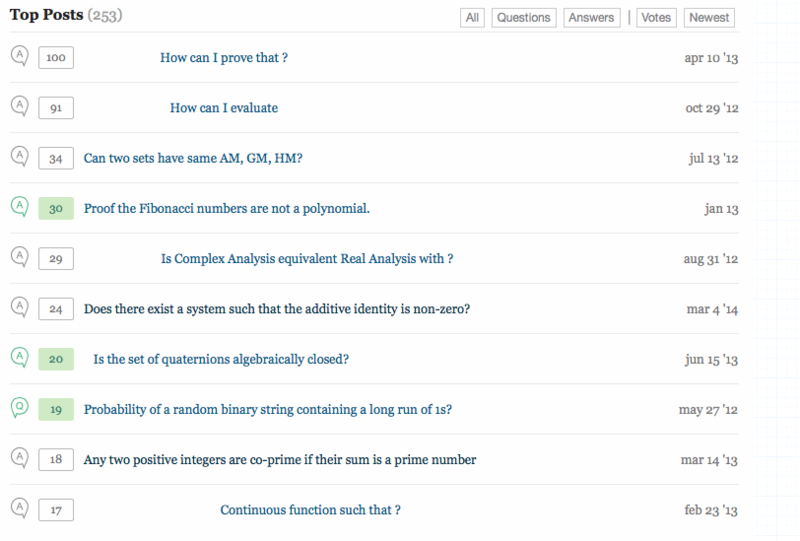 New posts and post changes don't have their MathJax parsed.